David Robert Mitchell’s exercise in horror minimalism masterfully pulls off the best retro movie experience of the year. Much like the resurrection of Mad Max, and 70’s era Star Wars Mitchell deviously recreates the terror of the 70’s/80’s silent stalker character. Mitchell takes inspiration from the hypnotic Yul Bynner/Richard Benjamin walking foot chase in Westworld, Michael Myers' terrifying stalking of Jamie Lee Curtis in Halloween I and II and relentless onslaught of Arnold Schwarzenegger’s 1984 Terminator. Mitchell’s premise is deceptively simple and with nil backstory, his ghostly baddie simply exists without question. If Mitchell painted film with just this brush he’d still have a terrifying picture, but what elevates the film is his pitch perfect depiction of the millennial malaise. Mitchell manages to make the relationships of the four central youngsters as compelling as the genre components. Mitchell’s application of the melancholy tone from the his previous picture Myth of the American Sleepover to his ironclad horror premise is a sublime cinematic marriage. Unlike the over indulgence of dialogue in Quentin Tarantino’s latest gabfest, The Hateful Eight, every word in Steve Jobs, as written by Aaron Sorkin and directed by Danny Boyle feels absolutely essential and careful crafted. While the credit for the dialogue and scene construction falls surely on Sorkin’s, Danny Boyle’s abilities to render the dialogue-heavy and limited location script into an active and mobile film with energy fits in with Boyle’s unique skills. 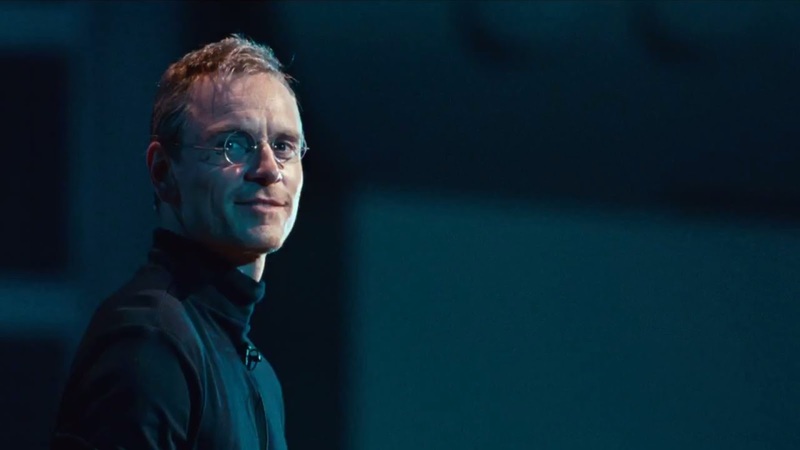 Steve Jobs is simply electric and made a relentlessly hypnotic pace. While Sorkin’s approach to the subject of the Apple founder is unconventional the filmmaking team still manage to create a sense of the man’s impressive yet sad life and career - one which shows his successes and failures in equal measure. Boyle and Sorkin’s sentimental touches admirable extricate the experience from a naval-gazing affair to a wholly accessible and audience-pleasing finale. 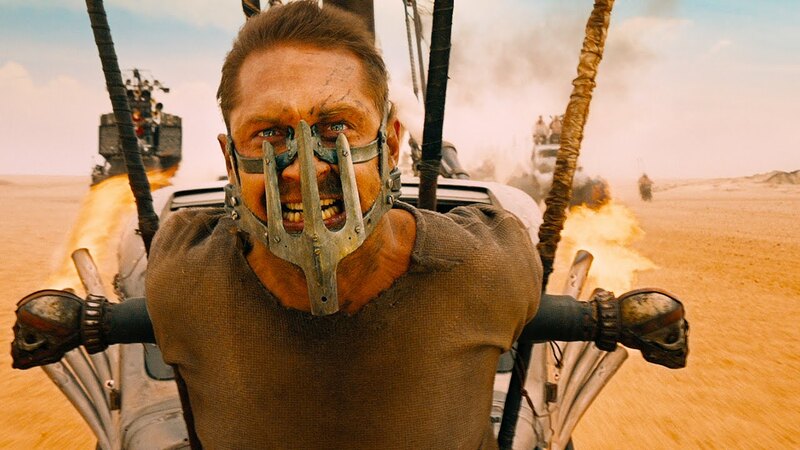 It was no surprise that George Miller’s return to the Mad Max franchise was an exuberant success. Each and every film he’s made has made noise in some shape or form. Admirably he’s been able to move between genres and make films for different audiences and at different levels of scale and yet retain his unique style. Arguably Mad Max: Fury Road brings all elements of his visual flare to the screen in a phantasm of post-apocalyptic action and carnage. The minimalist plotting refreshingly focuses our attention on the ballet of action itself and Miller’s superb sense of mise-en-scene. Miller matches the creativity of Steven Spielberg, a contemporary of his and collaborator from the Twilight Zone: The Movie, in choreographing imaginative action set pieces with grace. Taking inspiration from 90’s urban thrill ride pictures such as Go, Pulp Fiction, Amores Perros, Rick Famuyiwa’s story of a group of South Central LA teenagers who navigate their way out of a drug deal gone bad bristles with an energy equal in measure to all of the films above. 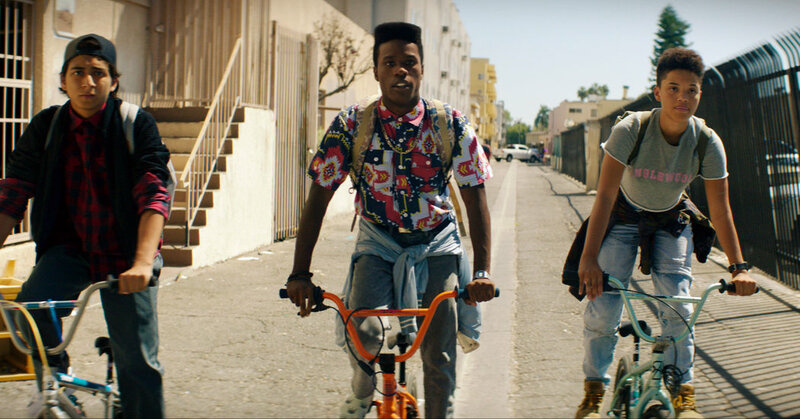 The sunlit LA location, foot tapping hip hop score and the comedy talents which trickle down from the leads to the minor characters make for a fun comedic romp and the announcement of a new directorial talent in Rick Famuyiwa. 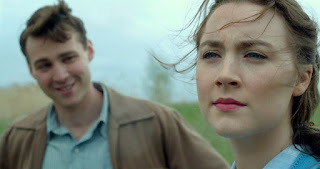 Even the most unsentimental macho masculine viewers will get caught up in the swooning romance set up by the John Crowley’s elegant Irish immigrant picture. While the material was based on a best selling novel, the story feels utterly cinematic, simple in premise and effective in execution. There’s almost no particular technical accomplishment or specific visual style applied to this story to reference, instead it’s the straight ahead storyline, identifiable situations of its characters and the gorgeous and memorable cast which elevate this melodramatic story to high art. 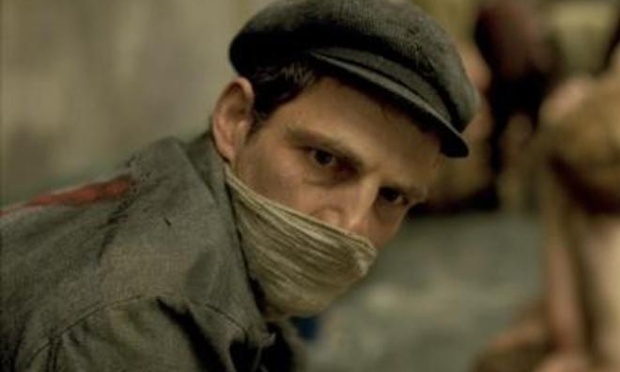 Much has already been made of first time director Nemes' cinematically limiting visual style applied to the presentation of his ‘Nazi concentration camp’ story. Nemes’ self imposed handicap in this case is the exclusive use of a medium shot/close up of his lead character in portraying the moment by moment horrors of a Nazi death camp, which occur in the fractions of space in the sides and corners of his ‘Academy-ratio’ compositions. While the directorial hand is always in plain view in watching this picture the effect is undeniably powerful. The remarkable face of lead actor Geza Rohrig who is always front and centre on the screen, feels like the face of a Michelangelo sculpture etched out of rock and chiseled to perfection. His expressions and reactions are mesmerizing and heartbreaking to the core. 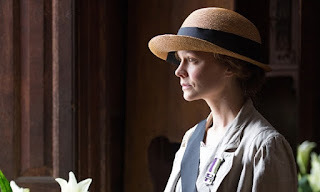 Criminally under seen and underrepresented in the Oscar conversation this year, Sarah Gavron’s portrait of the British suffragette movement in the 1920’s is a riveting picture. Gavron’s ability to bring the audience into the gritty realism of industrial London in the 1920’s immediately removes the the burden of it’s ‘historical importance’. Instead Gavron’s direction feels as urgent as Paul Greengrass’ in Bloody Sunday. The grainy 16mm cinematography and earthy performances from the top notch British cast add to the authenticity. But it’s the remarkable scene featuring Carey Mulligan and the bright young actor playing her son which is so monumentally powerful, it’s easily the best scene this year in cinema. No spoilers, you’ll have to watch it yourself. 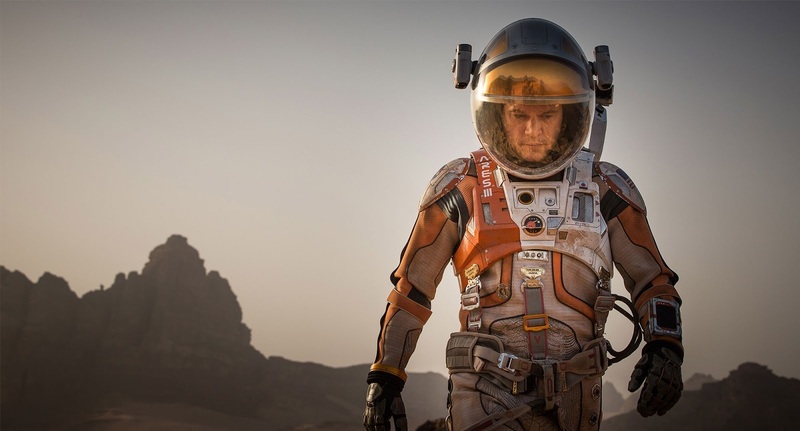 An expert space procedural of the highest order, Ridley Scott sticks to the minute but compelling details through which Matt Damon’s stranded Robinson Crusoe character sustains himself on Mars after his crew leaves him stranded on the planet. We’re immediately reminded of Apollo 13, but without the 90’s sentiment, instead replaced by some more modern post millennial clinical realism. The retro/nostaglic tone to episode #7 of the series was absolutely essential to reboot the franchise. After the festering resentment to the increasingly CG-lazy films of the prequel era we badly needed some effort put into this highly revered franchise. The attention to old school production techniques such as real-world puppeteering, real sets, real locations, adds immeasurable engagement to these stories. The story itself, which some knock for repeating plotting points from episodes past, is also essential to the mythology of the series. The Star Wars world we all know and love is actually quite small and insular. Failures of one's past are difficult to shake and come back to haunt the next generations. And the serial aspect of this series has always been the bloodline from Anakin/Vader to Skywalker, and beyond. So the recasting of Mark Hamill, Carrie Fisher and Harrison Ford in hindsight feels essential. 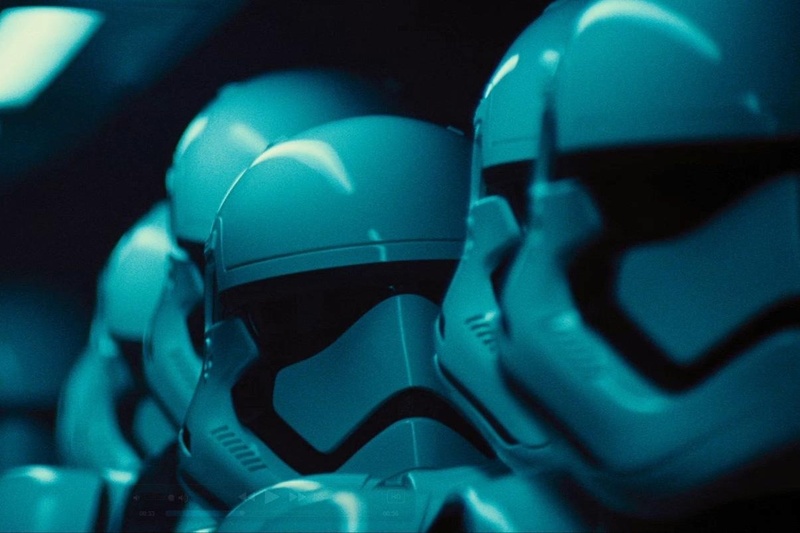 But it's the recaptured spirit, tone, humour and cadence of the series which has fully satisfied this formerly frustrated Star Wars fan.